The now-untitled project, based on the Archie Comics graphic novel The Chilling Adventures of Sabrina, comes from the same team as Riverdale: Roberto Aguirre-Sacasa, Berlanti Productions and Warner Bros. TV. Aguirre-Sacasa, who penned the Riverdale pilot, and Lee Toland Krieger, who directed it, are reprising their roles on the Sabrina pilot episode. 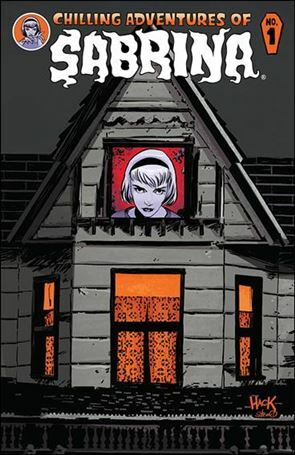 While most other popular Archie Comics characters are in Riverdale, Sabrina the Teenage Witch had been conspicuously missing from the CW’s Archie-themed drama series, so it made sense when the network announced in September that it was developing a separate series about the young witch. The series’ move is somewhat reminiscent to The Unbreakable Kimmy Schmidt, originally picked up by NBC for a midseason run before Netflix stepped in with a two-season order. Netflix’s interest in Sabrina is not surprising. Riverdale has been a success story for both the CW and the streaming service, which has domestic SVOD rights to the dark, soapy drama and carries it internationally in many territories. Young viewers discovering and catching up on the first season over the summer by bingeing on Netflix is credited at least in part with Riverdale‘s strong ratings sophomore season performance on the CW this fall.